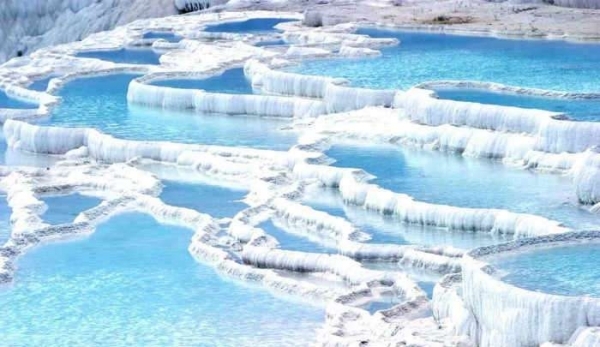 Turkey is a wonderful country,which offers unique places with unforgettable sights! 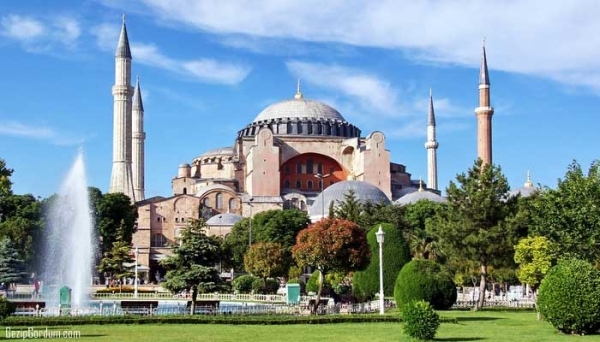 Full of diverse and rich cultural heritage,amazes each time all visitors! 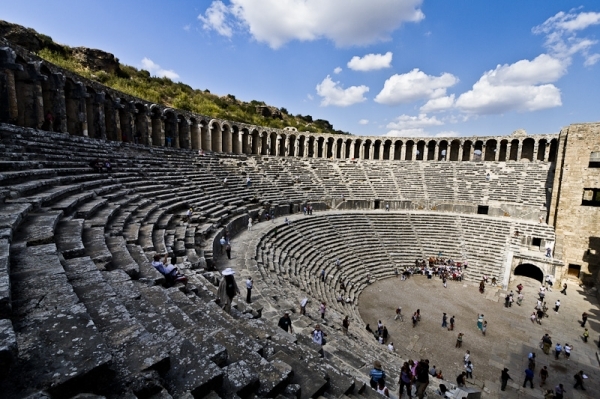 At the ancient city of Aspendos, is located the best preserved Roman theater in Turkey and one of the best in the world! Built in 161-180 AD by the orders of Emperor Marcus Aurelius, with a capacity of 15.000-20.000 spectators, is still in use for various performances, allowing you to imagine how it would be to enjoy a performance in the Roman times. With the passage of the time, the stage was also used as a caravanserai, so it was continuously repaired and maintained. 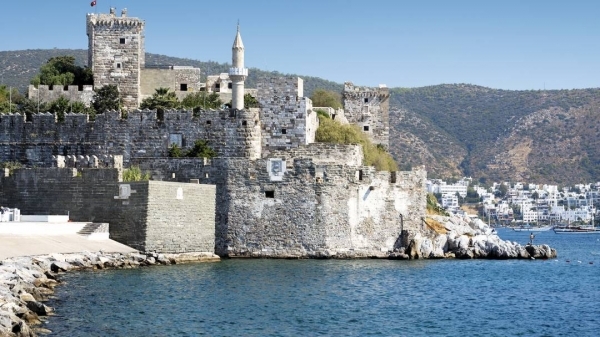 Overlooking the marina of Bodrum, this castle is one of the world's best preserved monuments, dating back to medieval times. Built in the 15th century during the Crusaders, as the Castle of St. Peter. An imposing attraction, located at one of Turkey's most famous resorts, providing to its visitors a great exploration. The highest point of the castle is 47.5 m and you have to pass from 7 doors to reach the inner castle. The castle now operates as a museum of Underwater Archaeology, hosting several Turkish cultural festivals during the year. 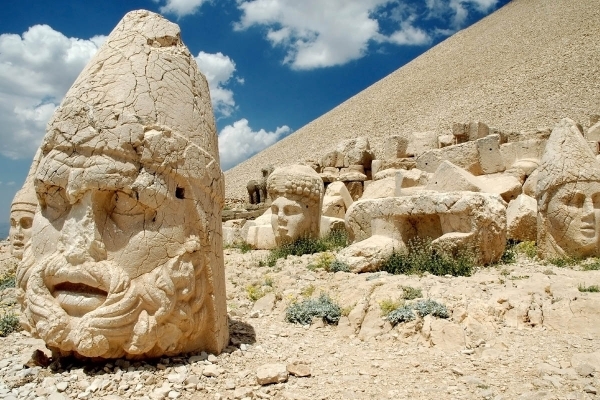 This 2.134 meter high mountain, is located in southeastern Turkey, near the city of Adiyaman. 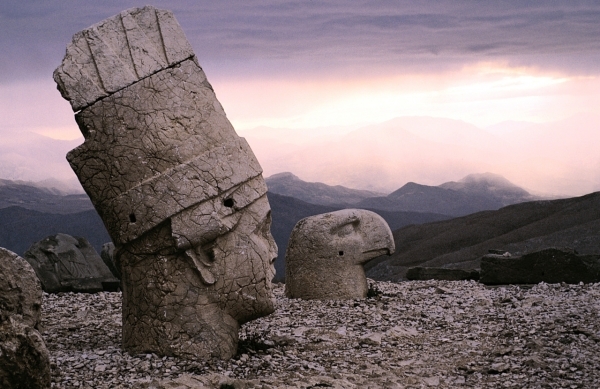 Nemrut was the mountain where King Antiochus I God of Commagene, built a tomb sanctuary, in 62 BC. The place was surrounded by huge statues of himself, two lions, two eagles and many statues of Greek,Iranian and Persian Gods, such as Hercules, Zeus, Persian Eagel God and Apollon. Over the passage of time, the heads were detached from the bodies and lay scattered throughout the site, as a result of iconoclasm. An amazing place to admire both the views and the impossing sights! A crystal clear sandy beach and one of the longests in the Mediterranean, covering almost 20 km. 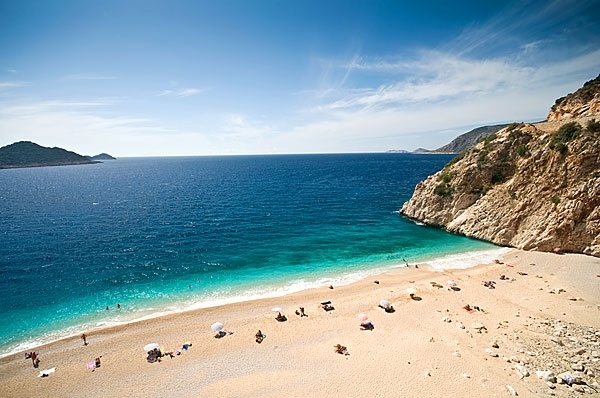 A beautiful place, located near the ancient city of Lycian, also known as the birthplace of Santa Claus! A beach which is never crowded, is also the breeding ground of the endangered Loggerhead turtle! For this reason and for not loosing its natural beauty, Patara has been untouched from the modern development. Topkapi is a complex of small buildings full of color, and indelible beauty! A palace that housed for almost 400 years, Ottoman Sultans, their families and about 4000 people who also lived there. A palace that housed not only the Sultans, but also many unbelievable stories, countless intrigues, schemings and murder scenarios between the wifes of the Sultans and not only…! 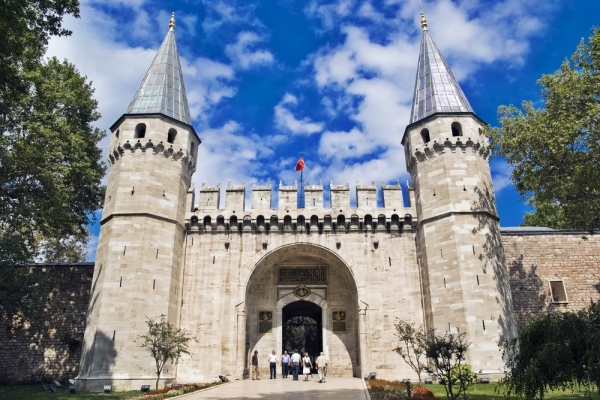 Mehmet the Conqueror built the first stage of the palace shortly after the Conquest in 1453. Consists of four main courtyards and the Harem. 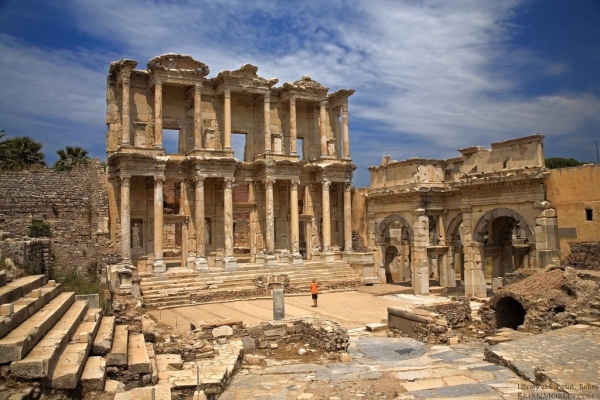 The ruins of Ephesus are a very popular tourist attraction on the west coast, having as a highlight, the Library of Celsus! This imposing structure, was build for Gaius Julius Celsus, governor of Asia, in order to store 12.000 scrolls and to serve as a mausoleum for Celsus, who is buried in a crypt beneath it. Built in 117 AD, with double walls behind the bookcases to prevent them from extreme temperatures. Unfortunately, the library was destroyed by an earthquake in 262 AD and the facade by another earthquake in the 10th century. 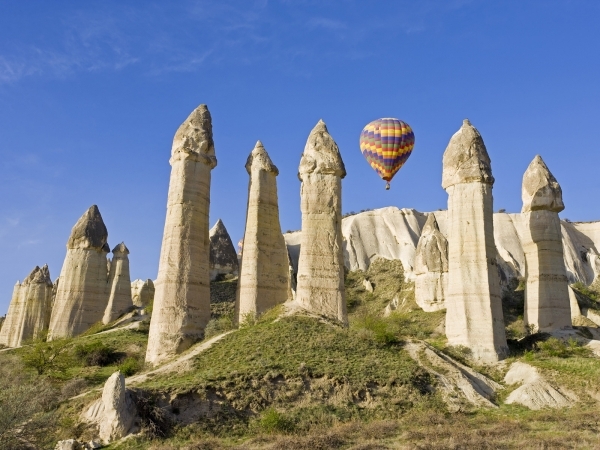 A unique scenery, at the most extraordinary place in Turkey, Cappadocia! Fairy chimneys, are huge and imposing natural rock formations, formed as the result of wind and water erosions of two different volcanic layers! In the old days, fairy chimneys were hollowed out to create houses, churches and storage facilities. The Christians who took shelter in the place, named it Goreme after the pressures of the Arabs (Goreme in Turkish means ''you can not see''). An unreal sight, which attracts thousands of visitors each year. 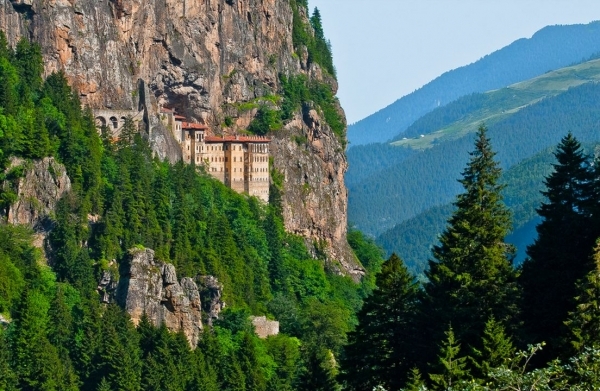 An ancient Orthodox monastery, almost 1600 years old, located at the city of Trabzon. This beautiful monastery of the Virgin Mary, is located at a 1200 meters height on a steep cliff and considered to be one of the most significant highlights of the Black Sea. The monastery, constructed on rocks, can be reached by a path through the forest. Found in the 4th century and abandoned in 1923 after the exchange of the populations and the creation of the Turkish Republic. The main church, is covered with beautiful frescoes dating from the 18th century, representing biblical scenes of Christ and Virgin Mary! 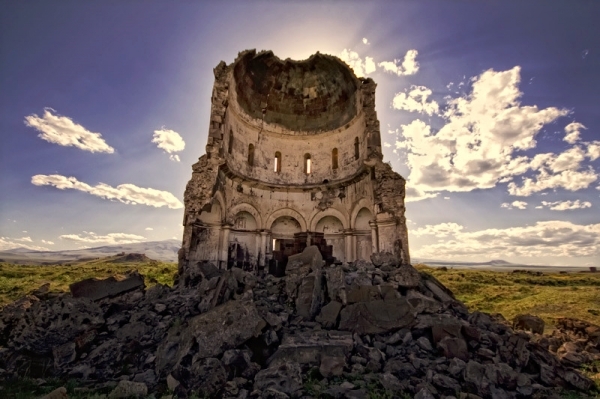 The ''city of a thousand and one churches'', was a medieval Armenian city, situated in the province of Kars near the border with Armenia. This wonderful place, was founded almost 1600 years ago! It was located on several trade routes, being a famous Silk road. Its religious buildings, palaces and fortifications were amongst the most technically and artistically advanced structures in the world. Ani and the surrounding region were coquered hundred of times, repeatedly attacking and chasing out residents. Between 961 and 1045, it was the capital of the Bagratid Armenian kingdom that covered much of present-dayArmenia and eastern Turkey… but by the 1700s, Ani was completely abandoned. This city is one of the most important symbols of past Armenian greatness and hence a source of pride. Don't miss the Church of the Redeemer or the Church of St Gregory with their elaborate stone masonry and fresco remnants still visible. The Gallipoli peninsula is one of the most sacred sites for the Turkish nation, on the Aegean side. At the peninsula, there is a small cove, also known as Anzac Cove. In 1925, the landing at Anzac Cove was part of the amphibious invasion of the Gallipoli peninsula by the forces of the British Empire, during the WWI. 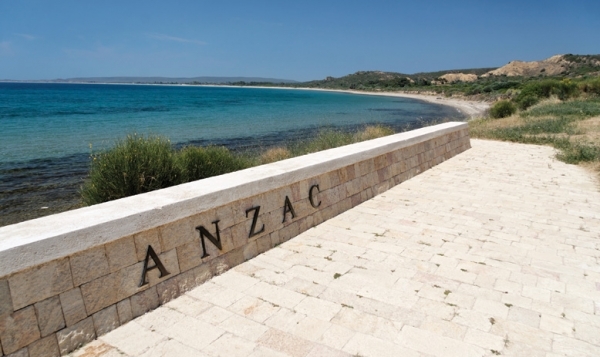 The beach became the main base for the Australian and New Zealand troops for the eight months of the Gallipoli campaign. The ”Anzac Day” is commemorated on April 25th every year.